Jana Apih, Managing Director of GoodPlace in Ljubljana, in this interview tells us about Slovenia’s journey towards tourism sustainability and how the country’s sustainable tourism strategy, including the Slovenia Green destination certification initiative, has benefited the destination’s competitiveness and reputation. Advice for entrepreneurs eager to develop their tourism business sustainably. Jana, your extensive professional background within the travel industry includes placements in National Tourism Boards, marketing consultancies and now, founder and Managing Director of GoodPlace; do you remember what brought you to working in tourism in the first place? To be honest, it was more of a coincidence than a plan. I studied ethnology and social anthropology, which are not closely linked to tourism. But when I finished my studies, there was a job opening at the Slovenian Tourism Board and I seized the opportunity. I could say that it was love at first sight and after a few months I knew that tourism is where I belong. It’s a perfect mix of understanding the way people think and behave, which always fascinated me, and understanding how the tourism “product”, the offer works. Bringing the two together is where magic happens and things move forward. The other thing was that Slovenia at that time was a young country and we all were driven by feelings of pride of being able to promote the country which we all were fascinated to have. What were your thoughts on “sustainable tourism” when you first started GoodPlace? And how has your view of the topic changed since? Starting GoodPlace was, like probably most of my decisions, a very emotional one. I looked at many examples of not sustainably run business, which somehow pushed me to start thinking about the mechanisms that could change that. Then I realised that in Slovenian tourism at that time you could already sense that the path was not clear. So, I asked a number of people whom I respected to do something about it. At the end, 12 of us founded GoodPlace, which gave us proof that we were on the right track. We also got big support from both the Ministry and the Tourism Board, and a really big group of partners. They all realised that sustainable tourism was the way Slovenia should develop its tourism, and supported the idea that a non-profit institution with such a mission was being established. Our idea at that time was more or less focused on what would be the best way to bring this idea of sustainability into all development programmes of Slovenian tourism. We were very lucky that our mindset was completely in line with that of the Slovenian Tourism Board. As a result, we formed a partnership and developed a Green Scheme of Slovenian Tourism, owned by the Slovenian Tourism Board, of which we are an accredited partner. Five years have passed since we started GoodPlace and I can say that the initial idea of developing a national frame for development of sustainable tourism was the right one. It led to the next step, again in partnership with the Slovenian Tourism Board, where we focus more and more on different topics of sustainability, trying to develop useful tools, such as on carrying capacities, visitor management, communication with visitors etc. And I think that this is not the case only in Slovenia but overall. The tourism sector has adopted sustainable development as a way to more successful destinations and services. It now has to focus on the issues supporting that vision. Sustainable tourism product development and communication strategies are among your areas of expertise at GoodPlace. 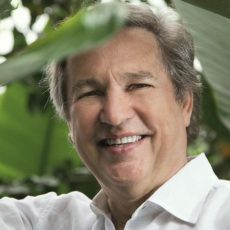 In your experience, which is the most effective way to communicate sustainability in connection with tourism businesses or destinations? First of all, you have to be very honest with your visitors and avoid green-washing. Before you spread the word about being sustainable or green, as it is usually communicated to the visitor, you really need to be green. This means that first you need to find out what your weaknesses and strengths are, and work from there. Certification programmes that guide you step by step can be of a big help here. With action plans you should tackle the weaknesses and with communication plans you can use your strengths to communicate your competitive sustainability advantages. We help our destinations in Slovenia to dig into their green DNA and come up with representative green stories. Just saying we are green – visit us does not do the trick. People might even misunderstand this and not look at the statement as an advantage but rather a compulsion. What visitors seek are experiences that bring that green story closer to them and give them the opportunity to be part of it. Once that works, it is much easier to get the attention of the visitor. The strategy usually depends on the goals we set up. In the case of Slovenia, we established a kind of cooperation body, a Consortium of all Slovenia Green Destinations, in order to build joint communication and promotion in partnership with the Slovenian Tourism Board. The Consortium provides the so-called green content to the Tourism Board, which then effectively communicates it through its channels on international markets and promotes it further. And it works. Judging from your experience with Slovenia Green, which factors or challenges within the country might support or hinder a better, more responsible tourism in Slovenia? The most important support comes from the top, both from the Ministry of Economic Development and Technology, where the Tourism Directorate is based, and the Slovenian Tourism Board as the owner of the Slovenia Green programme. Both institutions understand sustainable development as the only development paradigm of Slovenian tourism. This year a new strategy of Slovenian tourism was adopted with the title “Strategy for Sustainable Growth of Slovenian Tourism”. It means an even stronger implementation of sustainability aspects to all steps of development and on all levels. Besides, Slovenia has made sustainable tourism one of the basic economic pillars in the Strategy of Smart Specialisation. So the national frame and support is there and it is very strong, focused and successful. The biggest challenge on national level is now the cooperation with other sectors. You cannot make important steps if sectors like infrastructure, agriculture or environment are not on the same page. The new national tourism strategy addresses most of those issues, but I am sure it will take quite some time to find the solutions to all loose ends. On the other hand, we are very happy that more and more destinations and suppliers are joining the Slovenia Green programme, which means that we have a very strong support also on local levels. I am convinced that it is the result of national institutions giving a strong statement of support. That said, we cannot succeed without strong cooperation between stakeholders at the local level. That is why, in the process of evaluation, destinations need to set up green teams involving private, public and civil sectors, and work together. The sustainability action plans also need to be confirmed by municipality boards and funds have to be allocated. Only then can we change things. Reflecting on the Slovenia Green programme so far, which would be your key insights, or lessons learned? The most important is that it is a national programme, owned by the Slovenian Tourism Board. This gives it credibility on the one hand, and on the other it gives all Slovenia Green destinations and businesses a closer link to effective promotion. Without that I am sure it wouldn’t be as successful as it is. The other very important thing is that when developing it, we didn’t come up with our own standards and tools, but we carefully studied what was already out there and was most in line with what we were looking for. So the final solution for businesses was to endorse six existing certification programmes (Travelife, Green Globe, Green Key, EU Eco Label, Bio Hotels and EMAS) and to encourage accommodations and travel agencies to adopt one of these labels. That gives businesses freedom to choose the label that suits them best content-wise and financially. On top of the international label they also get the Slovenia Green certificate. The system for destinations is a bit different. We use the Green Destinations Standard, following steps from the European Tourism Indicator System (ETIS) and some additional national characteristics. With that approach we do not need to constantly develop and adapt the standard, since this is done by our partner Green Destinations from the Netherlands. We also use their platform for the uploading of relevant documents and final evaluation. Last but not least, using an international standard gives our destinations the opportunity to benchmark against other destinations from around the globe, and opens doors to different awards such as the TOP 100 sustainable destinations. My main suggestion to any regional or national authority developing tourism sustainability programs is not to develop something from scratch, since it will be very costly, far less effective and globally less recognised. 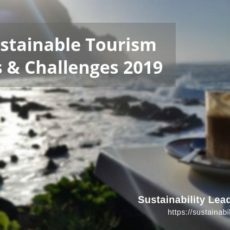 Which key themes or trends do you think will dominate the agenda of sustainable tourism marketing and communication professionals in 2018? I think we stepped away from talking about the importance of sustainability as a development paradigm and are now more and more concentrating on the role of our visitors. Tourism is driven by demand and only with in-depth understanding of our visitors we can participate in that game. And with the visitors changing, the demand and expectations are also changing. For the last couple of years, we have been hearing only about the demand for sharing economy and wish of traveling like a local. But if you look at the agendas of conferences today, it is all about overtourism. I cannot shake off the feeling that the two are closely connected. If we are talking about local experiences and bringing tourist to parts of the cities which were just yesterday more or less owned by locals, it cannot come as a surprise that those locals will maybe not be so very happy with the idea that tourists would like to meet them. Even worse, tourists are slowly pushing the locals from their favorite cafes and restaurants. It is not uncommon now to find posts in restaurants saying “don’t rate us on TripAdvisor”. In the end, we shouldn’t be that surprised that the locals are less and less satisfied or even tolerant with tourism. So I believe that the question is how far we can actually go with trying to grant every wish of a tourist, especially if at the expense of local residents. Overtourism has become a critical sustainability issue that is now widely debated, especially in European city destinations like Barcelona and Venice. In your view, what protective measures could/should popular destinations adopt to avoid overtourism from becoming a threat to their reputation and long-term competitiveness? I’m sure that the answer lies in proper management and communication. Understanding what is going on in your destination at any given time is crucial. That means not only following the numbers of overnight stays, but also understanding daily flows, dispersion of visitors in the destination, dispersion throughout the year, expectations of visitors and also expectations of the locals. We must keep in mind that any city’s primary function is to suit the needs of its residents. Only when we have an in-depth picture and understand the key issues of concern, we can do something about it. I believe that growth is not the enemy and that tourism is a very positive sector, bringing far more opportunities than threats. And those need to be addressed smartly and in cooperation with all stakeholders. We work closely with Ljubljana, the capital city of Slovenia, which for the first time this year faced some warnings from the residents. Tourism Ljubljana (DMO) responded by carrying out an extensive research, asking inhabitants of the old town (which is the most visited area), about their thoughts on tourism. Results showed that every 10th inhabitant thought Ljubljana was overcrowded. But what was interesting, far more people would say that they like Ljubljana more when it was full rather than empty. Even though the percentage of people who felt that tourism could become a problem was relatively low, the DMO started developing new approaches on how to integrate the offers of surrounding towns and municipalities, as well as how to introduce and develop new sights, new thematic products and happenings in parts of Ljubljana which were up to now touristically underdeveloped, and how to involve inhabitants into tourism products. All these actions need to be supported by smart technology solutions for management, visitor communication and guidance, development of tourism offers throughout the year and effective promotional campaigns. 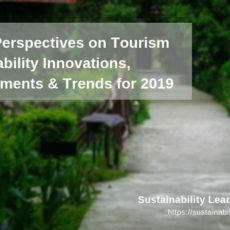 Which businesses or destinations around the world have served you as inspiration this year, in terms of their innovative approaches or solutions to tourism sustainability? This is a difficult question. There are so many inspiring examples around the globe so it’s not so easy to pick just one. But since at the moment we are focusing a lot on issues of visitor management and involvement of visitors, I could mention Iceland. I think that the idea with the Icelandic pledge of motivating and educating visitors about their role in sustainability is a good example. Being supported with a fun academy makes it interesting to the visitors and hopefully it will have a positive influence on their behaviour. The UN have declared 2017 the International Year of Sustainable Tourism for Development. With the year coming to an end, has it been impactful and useful for your work, or Slovenia? Yes definitely. The 2017 International Year of Sustainable Tourism for Development made an important impact on awareness on all levels of tourism. In Slovenia it meant that the interest from both destinations and business grew, which was a result of both strong national and international guidance. Sustainability was a subject at all conferences I attended, and at one point you actually could feel shifts in mentality. In many cases, sustainability has become no longer something additional but necessary, and a normal way of doing business. And only when that happens we can be sure things will go in the right direction. Besides that, I see that our destinations and businesses are coming up with so many new ideas, which is often the result of things they saw or heard. Also, it was a very important year for us in terms of international acknowledgment of our vision and actions. Slovenia and our destinations received a number of international awards for sustainable tourism, including National Geographic awarding Slovenia for its Destination Leadership and its approaches in development of sustainable tourism. Finally, Jana, your 3 bits of advice to the passionate entrepreneurs out there eager to develop their business around offering responsible tourism products and services? The first would definitely be “follow your dreams and be passionate about what you do”. I’m sure that if it comes from your heart and you really believe in what you are doing, you will be successful. Even if it means that you have to fight for it and change it along the way, but if you are open and really enjoy your job, it will work. The second advice would be “be honest and fair” and don’t take the shortcuts, which would affect the level of your product. The consumer has really high expectations. Disappointing them will create more problems. Tourism is a very hard job. We are selling dreams which are a very intimate and an important part of our clients. And for that dream we are not asking just money but also time, which in many cases can be even more valuable. The responsibility on our shoulders is therefore huge and we have to be aware of it every single day. Therefore, to fulfil that task, we need to “be innovative, playful and always in search for new ideas”. Try to surprise your customer, give them a feeling of being special. Include them, make them feel that their wishes come first and be open to something new. 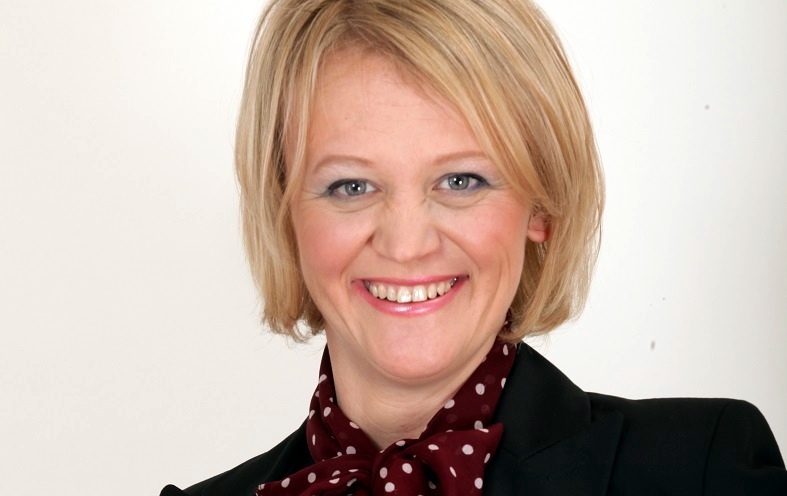 Connect with Jana Apih on LinkedIn or learn more about her company GoodPlace here. Enjoyed our interview with Jana Apih of the GoodPlace on the sustainable tourism strategy of Slovenia? Share and spread the word!